I went up White Pine and skied Red Baldy. Couldn't see a thing off the top. 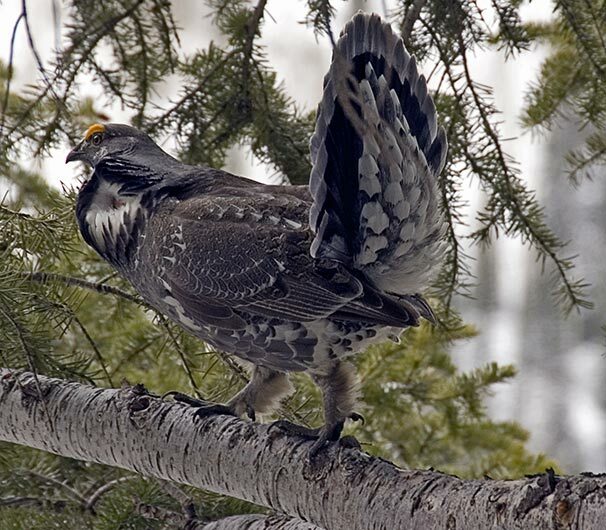 I did see this Grouse. Missed it with the wrist rocket.